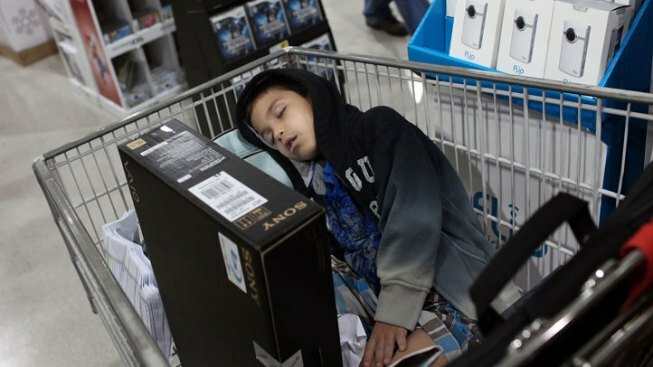 Boy takes a nap during an early Black Friday shopping trip. Up to 152 million people plan to shop this Black Friday weekend, up from 138 million last year, according to the National Retail Foundation. Need to know how to survive the most brutal shopping day of the year? Read on. Forget the early wake-up call and trudging to a 5 a.m. "early" opening time. Many retailers will get you started as soon as this evening burning off those estimated 4,500 Thanksgiving meal calories. 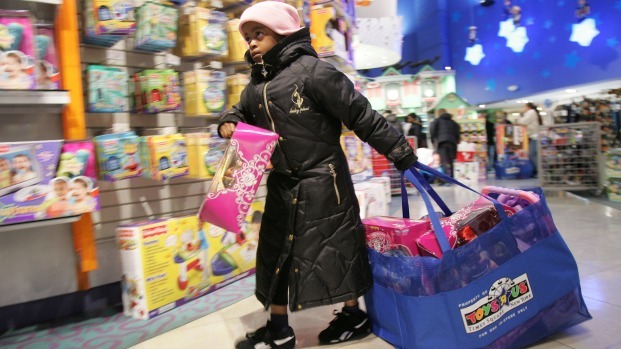 Toys R Us and Walmart are both opening as early as 10 p.m. tonight, and other spots like Best Buy, Gap, Target, and Kohl's will start up at midnight. Many stores have already started posting Black Friday deals online. On Thanksgiving! Sure, there are "doorbuster" deals that should net early risers with massive discounts, but the dirty little secret is that big chains may stock few of these items, NBC Connecticut reports. Take advantage of your cozy slippers and broadband connection and try spending the hours staking out deals online. Uber online businesses like Amazon have far more than one day of deals -- they've been celebrating Black Friday Week -- and others will offer what would have been Cyber Monday deals early to entice shoppers. 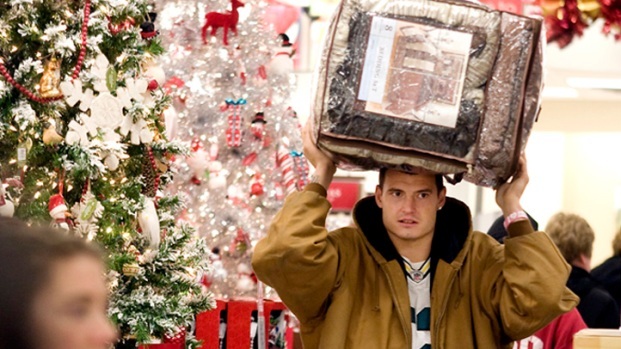 You don't want to spend early shopping hours darting across town for the best deals. Take a few minutes to plan a route that will include many of the shopping spots you want to hit -- even if that takes you to another city. Not only will that make you more efficient, you might even save on gas. Bonus points if you scout out your route at Walmart ahead of time using their downloadable store maps. You're gonna need fuel so check out Dunkin' Donuts' restaurant locator to find out if one of their shops near you will be opening at 4 a.m. or even 12 a.m. this year. Don't rely just on ads to find the best deals, take a gander at sites like TheBlackFriday.com, BFAds.net, or BlackFriday.info. Gizmodo offers an especially nifty place to search for bargains and store items in a wishlist. All these sites have collected hundreds of deals you could take advantage of for the Black Friday sales, but they're only step one of the process. Part two is sticking those deals on your smartphone. CNN Money has a list of Top 7 must-haves. Dont forget social networking. Nearly three-quarters of big retailers surveyed for Shop.org said they planned to use their Facebook page to promote deals, and over half said they'd also use Twitter. Style's "How Do I Look?" host Jeannie Mai gives three tips for looking chic while braving the all-night shopping crowds. Look, everyone likes to save money, but don't forget the holiday season is about more than material things. No discounted printer will be worth losing quality time with your family and friends, especially if they don't want to come with you. The old adage of "everything in moderation" works perfectly on a day where you could get some great deals, but also get some great memories with the people you love. Workers at Target and Best Buy, who have protested the stores' new Black Friday strategy, would appreciated the support. Robert H. Frank, an economic professor at Cornell’s Johnson School of Management writes in a New York Times op-ed that “when all outlets open earlier, no one benefits” from the consumer "arms race." If you're still in the celebrating mood after Thanksgiving, you can always observe Buy Nothing Day along with the "Occupy" movement.